The Kings beat the Rangers in 5 games to win Lord Stanley’s Cup. The NHL Draft was this past weekend in Philadelphia. Now the new League year has begun, and on July 1st, free agency kicked off and there was no shortage of moves. Before focusing on the local 3 NY/NJ teams, let’s take a look at some of the day’s other big signings. The first big move of the day was not a signing at all. 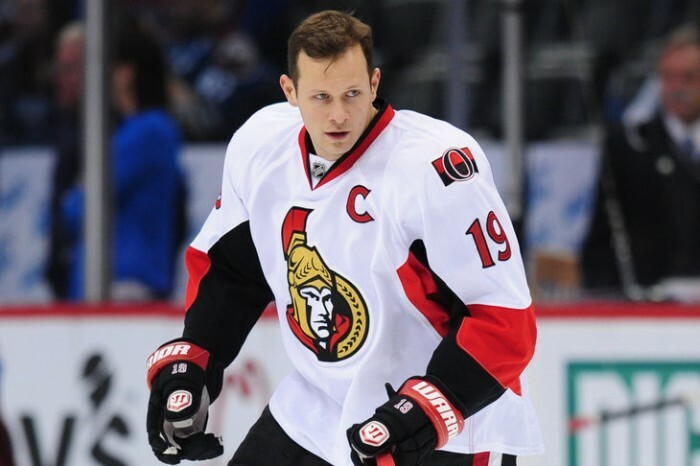 The Ottawa Senators trade captain and star player Jason Spezza (due to be a free agent next summer and wanted out of Ottawa) and a prospect to Dallas for Alex Chiasson, two prospects, and 2015 2nd round pick. Paul Stasny moves from Colorado to St. Louis on a 4 year/$28 million deal. Penguins defensemen Brooks Orpik (5 years/$27.5 million) and Matt Niskanen (7 years/$40 million) both head south to the Washington Capitals. Jarome Iginla signs with Colorado for 3 years/$16 million. Thomas Vanek, rumored to be on Minnesota’s radar for a long time, signs for 3 years/$19.5 Million with the Wild. Matt Moulson returns to the Buffalo Sabres on a 5year/$25 million dollar deal, Sabres also sign Canadiens Captain Brian Gionta. Ryan Miller fills the goaltending void in Vancouver with a 3 year/$18 million deal. Ales Hemsky leaves Ottawa to join Spezza in Dallas on a 3 year/ $12 million deal. The Isles were a bit quiet on Day 1 of free agency, however, they were able to add a few pieces. The Sabres elected to let Cory Conacher go to free agency and Isles scooped him up. They also added Bruins goalie Chad Johnson on a two year deal and Maple Leafs minor league standout defenseman T.J. Brennan…the Isles were in on some of the bigger name players but they elected to sign elsewhere. These small additions may not be enough to get the Isles back in the playoff hunt but the off season is still young. Coming off an Eastern Conference Championship, the Rangers are in a good position as a team. On day one of free agency they lost two players to Tampa (Brian Boyle and Anton Strallman) but were able to sign verteran D-man Dan Boyle to a two year deal. Although, up there in age Boyle will be a huge help to the Rangers defense corps as well as be effective on the power play. Bought out forward Brad Richards landed in Chicago on a 1 year deal. The Rangers also saw Benoit Pouliot go to Edmonton on a 5 year/$20 million deal…as effective as he was for them that contract was something the Rangers could not offer. They still need to re-sign RFAs Brassard, Kreider, (John) Moore, and Zuccarello. They were able to re-sign Dominic Moore as well as bring in Tanner Glass on offense, and they signed defensemen Mike Kostka and Matt Hunting. There are also rumors of the Rangers being in the hunt to land Joe Thornton via a trade with San Jose. This addition would certainly put them right back at the top of championship contenders. Last but not least, onto my New Jersey Devils. Losing Parise, Kovalchuck, and Clarkson over the past few years as hurt the team offensively to say the least. The Devils addressed their scoring issues by signing Calgary winger Mike Cammalleri to a 5 year $25 million deal and brought in oft injured veteran San Jose forward Martin Havalat on a 1 year $1.5 million deal, a low risk high reward contract. Defenseman Mark Fayne went to Edmonton and while his loss is not minor it does make room, along with the Volchenkov buyout, for the young defensemen, most notably Adam Larsson, to get consistent playing time. The Marty Brodeur era seems to have officially ended as the team brought in veteran Scott Clemmensen for a 3rd tour of duty to battle for the #2 goalie spot. The Devils re-signed Steve Bernier and Stephen Gionta; word is linemate Ryan Carter will follow soon. Some notable names are still out there. In the next week, we will see how things shape up. 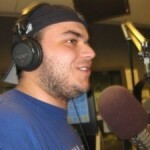 For any questions or comments, I’m on Twitter @bherms87. 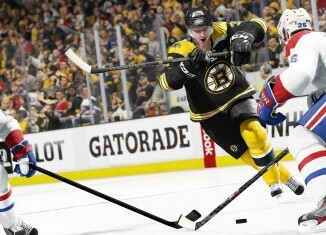 Whether you compete online in a bid for glory, live out your ultimate hockey fantasy in offline single player modes, or simply lace up and jump over the boards for exciting and innovative hockey gameplay - NHL 17 gives you the chance to Shape Your Legacy on and off the ice.